You’ve spent a lot on your Blu-ray/DVD collection, why not protect them with Blu-ray/DVD ripping &copying software? Have shot many videos with your families and friends, why not make them editable with NLEs(such as FCP, FCP X, Premiere, Sony Vegas, Avid, Movie Maker…) and then store all of them on your NAS or sharing with families and friends? Have lost data (such as the photos, texts, or contacts…) when you update your iPhone to the latest system, why not get the lowest-prices and perfessional data recovery tool for iOS to recovery the deleted or lost data? Brorsoft Studio now providing an absolute surprise for you — Deals and Special Upgrade for 2016 Christmas & 2017 New Year, which includes all the Copier, Ripper, Converter and Data Recovery Tool, up to 50% off. – Native codecs ensure the best results when using Avid, Adobe Premiere, Sony Vegas and more. – Convert MTS to AVI, Transcode M2TS to WMV, Encode MTS to MP4, FLV, MOV, 3GP, MPG, etc. – Tanscode MXF files for edit in Vegas, Pinnacle Studio, Windows Movie Maker, and Premiere, etc. – Convert MXF to WMV, MP4, MPEG, AVI, etc. 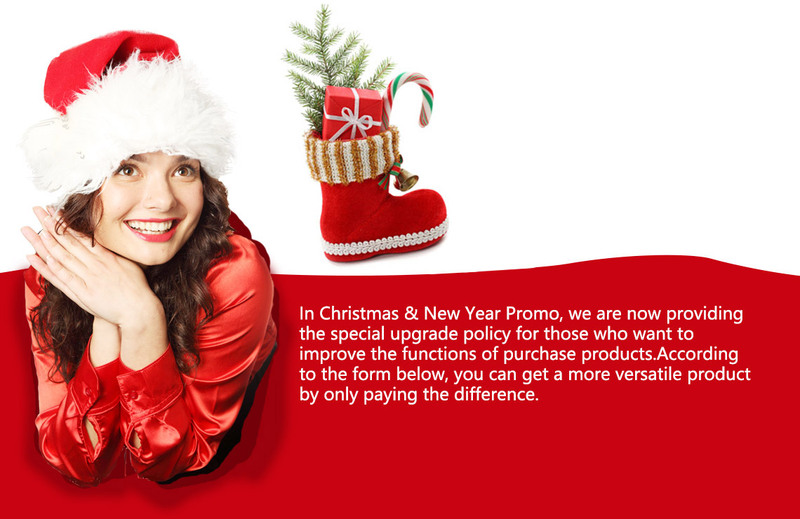 Meanover, in Christmas & New Year Promo, we are now providing the special upgrade policy for those who want to improve the functions of purchase products. According to the form below, you can get a more versatile product by only paying the difference. If you are satisfied with the price as well as our products and intended to upgraded your software or add-on another software, please contact support@brorsoft.com and provided us with the Order ID of your software in use, and add-on software you want, Brorsoft support will send the discount link for you. Import: If you have never purchase a Brorsoft Program, just turn to the Main Promotion Page, and click the “share to facebook” button, and tell us which software you want to purchase. We will reply you a 50% OFF discount link (buying for the first time only) within 24 hours on week days. Please do not forget to invite your families and friends to join in.